“The holiday season is a great time to develop a one-in, one-out mentality,” author and professional organizer Peter Walsh said. That’s because many seasonal celebrations center on receiving new gifts, but there’s no corresponding ritual for letting go of old possessions, he said. However, it can be hard to find time in the midst of a flurry of decorating, parties and shopping. So, make lists of what needs to be done and set aside just 10 minutes a day or one hour each weekend, Walsh said. You can even use a time crunch as motivation, said productivity expert Rivka Caroline, who offers tips atSoBeOrganized.com. For example, your upcoming annual holiday soiree can spur you to get rid of the junk in the hall closet where you’ll want to hang guests’ coats, she said. But don’t spend too much time trying to make your house look perfect. Your guests aren’t visiting a museum; they’re coming to see you and your family, Caroline said. “And every family has a little clutter,” she said. 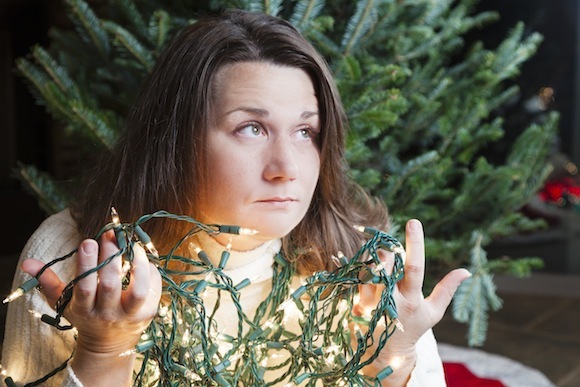 So, what should you get rid of during the holiday season? Stick to the big stuff and save the little stuff for 2015. 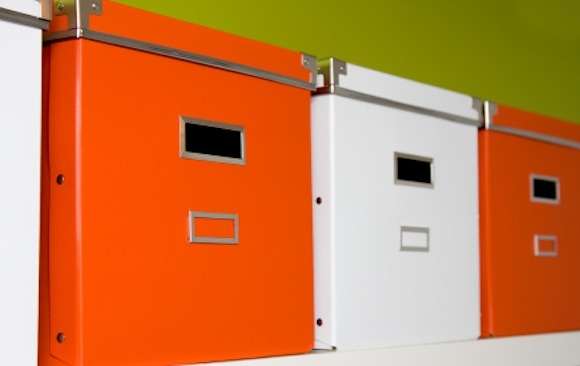 For example, now is not the time to organize all of your family documents or photos, said Lisa Zaslow, founder and CEO ofGotham Organizers in New York City, NY. With that in mind, here’s what to pitch this season. 1. Seasonal Items That Add Stress. The trappings of the holidays are supposed to make you feel happy—not, well, trapped. So if, for example, you fight with your spouse over hanging 50 strands of outdoor lights every year, you can let that ritual go. “It doesn’t matter whether you celebrate Christmas or Hanukkah or Kwanzaa. If your decorations lead to losing sight of what the holidays are really about—peace, calm, friendship, harmony, family and love—then ditch the decorations,” Walsh said. 2. Decorations You Don’t Use. Do you have boxes full of ornaments that aren’t your style, wreaths you never get around to putting up or snow globes that don’t fit on your mantel? Here’s a simple rule of thumb: if you didn’t use it last holiday season and you’re not using it this year, say goodbye for good, said professional organizer Julie Bestry, president of Best Results Organizing in Chattanooga, TN. Got a stack of greeting cards from last year or even 10 years ago? If they’re simply signed by whoever sent them, toss them, Bestry said. Just keep the ones that contain long, heartfelt messages, she said. Do you have three tree toppers, five holiday platters and six garlands? Since you use holiday items only once a year, having multiples doesn’t make sense. “Pick the one you love best and use it every year,” Zaslow said. Is your hall closet crammed with coats and boots your kids outgrew two seasons ago and gloves that long ago lost their mates? Pull that stuff out quickly, without taking everything else out of the closet, Zaslow said. Then donate or toss it. If you don’t have time to declutter before the holidays, you can do it afterward. In fact, Bestry suggests throwing a decoration takedown party. Make brunch, have your family join you in their jammies, and play some fun, upbeat music. Pack up all your décor and get rid of stuff that’s broken, like strands of lights with burnt-out bulbs, Bestry said. In fact, you should jot down a list of items that need replaced, and do so now when holiday stuff is on sale, she said. Also, toss, donate, or pass on to a friend or family member anything you don’t use or love, she said. If you need extra help, Walsh runs a 31-day organizing challenge in January and posts a one-minute video each day. This entry was posted in holiday storage on December 31, 2015 by admin. NASHVILLE, Tenn. — Missy Phillips knew she had a big problem on her hands when her boyfriend’s 18-year-old son ransacked their house looking for the stash of unwrapped Christmas presents. To keep the nosy teenager from finding the stereo, video games and hunting bow she and her boyfriend bought him, Phillips had to go out of the house _ and into a self-storage unit _ to hide the gifts until Christmas Eve. Jane Davies, who manages Abbott Self-Storage in Nashville, said several wives this year have rented the facility’s “Santa Closets” to house large presents like big-screen TVs and recliners for their husbands. Absolute Storage Management in Memphis, which operates Abbott and other storage facilities in the Southeast, offers 4- by 4-foot units from early November through Christmas for a $1 a day. “It’s a little hard to hide a big-screen TV, recliners, bicycles,” Davies said. “A lot of houses, condos and apartments don’t have the storage space. Mike Scanlon, president of the Self Storage Association, said the storage industry’s busiest time is from spring through fall when people are most likely to be moving, though there is a bump in business around the holiday season. “There’s not many places to hide that stuff around the house if it’s a bike or some kind of sporting good item, things you just can’t hide in the back of a closet,” Scanlon said. Even storage facilities that don’t offer Santa specials are pretty sure their customers have figured out the holiday angle. Joanne Fried, spokeswoman for one of the largest storage companies in the U.S. with more than 357,000 units, said customers already renting units also stow their Christmas gifts there. The storage unit industry has nearly doubled in size over the past decade, with close to 40,000 storage unit facilities nationwide. This entry was posted in holiday storage on December 17, 2015 by admin. 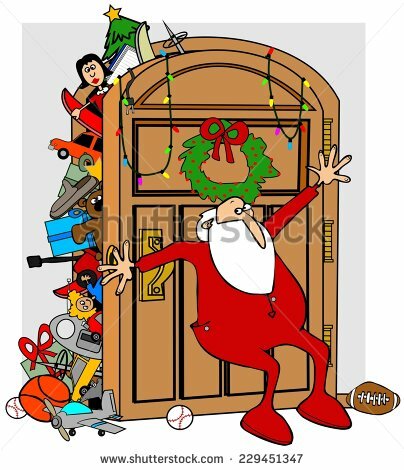 Hide Your Christmas Gifts in Self Storage! It’s beginning to look a lot like Christmas, which means one thing—it’s time to figure out what gifts to give! Between Black Friday bargains and always-open online retailers, it’s easy to get your hands on the items your loved ones have put on their lists. But as the bags and boxes pile up, you might be caught wondering where on Earth you can stash all the stuff. The answer? 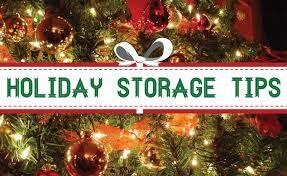 Hide Your Christmas Gifts in Self Storage! Every family has their own holiday traditions that make celebrating special for them, but one of the most common is keeping presents tucked away until Christmas Eve. 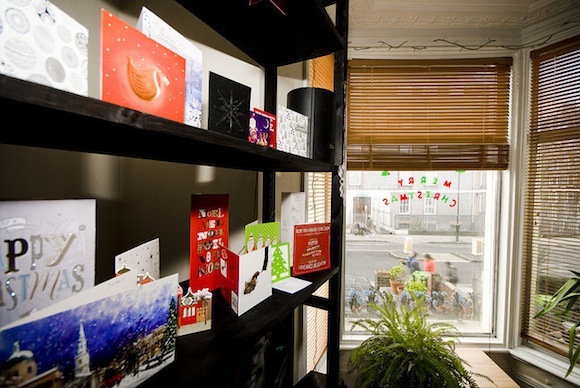 Still, it can be difficult to find space to hide presents from prying eyes in a season that’s already rife with clutter. If your home is already tight on space, and you don’t want the spirit of the season to be ruined, you can use a storage unit to hide your Christmas gifts from your loved ones. Facilities offer different security options, so you can always ask the facility manager to elaborate on their security measures, procedures, and history with any breaches. To maximize your time spent with the very people you’re shopping for, look for a storage unit that’s located near your home. The shorter the drive between your home and self storage, the quicker you can get everything assembled and under the tree when the time comes! If you’re looking to be truly covert, seek out a facility that offers 24-hour-access. That way, you can sneak off to your unit at a moment’s notice. Using self storage to hide Christmas gifts is a great option for anyone—okay, except for the people who are surprising their families with a new puppy or kitten. A storage unit has room for just about any gift, big or small. Not to mention, self storage can help minimize stress and maximize joy for people looking to create those special memories with family. So get storing, and Happy Holidays! This entry was posted in holiday storage on December 3, 2015 by admin.